Hostile, simply not habitable: “harsh” in itself being an understatement. Yet so prescious to the earth and to life. This coastline seems like no other I’ve ever witnessed. When I first saw this place I was lost for words at the spectre of imagining how one, as a single human, might fathom the mere existance of such ice and vastness. Then, within it all, as I gazed out through the blue clear air toward these dense frozen sculptures, elements of attachment slowly seeped into my being as though I was existing with them. “Antarctic Shoreline” is a real place on the coast of the Antarctica Peninsula. I’ve been there and I’ve seen it ( during the summer season). This is a snapshot really: the ice constantly changes in sync with glacial flows. At times the metamorphosis is stark as vast sections break away and plunge into the ocean. 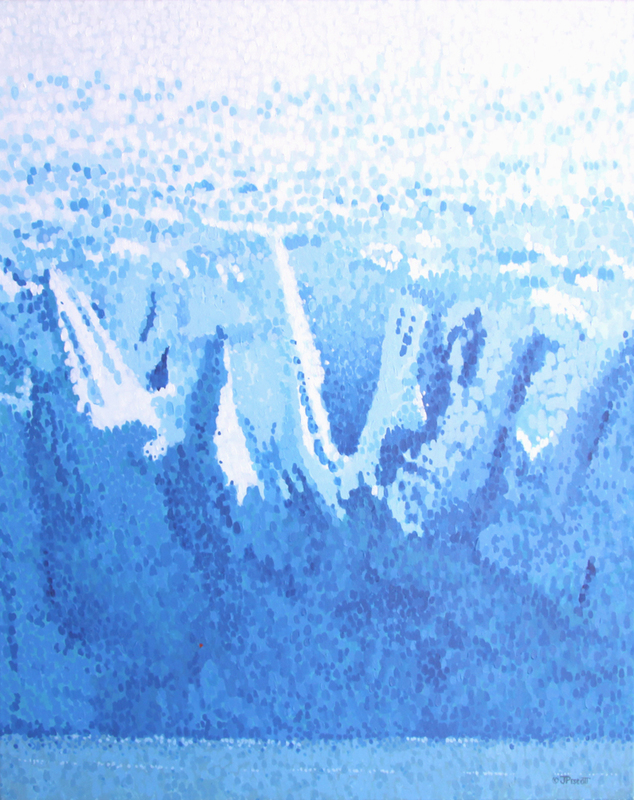 “Antartica Shoreline” will be exhibited in Paris, France, in December 2011 at the Salon SNBA 2011 (Societe Nationale des Beaux Arts)to be held in the Carrousel du Louvre.